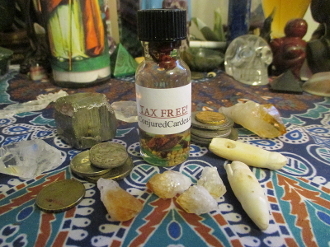 I've created this oil for those who dread tax time. While this won't get you OUT of paying taxes, it can ease the process, help with the legal side and get your return faster. Use on brown candles to get a return, orange to help with legal issues or yellow to make the process smoth.